Dimlux Aux box. At the new DimLux Maxi Controller EVO 1.1 an external Aux box can be connected through the Aux/Fan output so that the DimLux Maxi Controller can control an external heater, humidifier or dehumidifier. 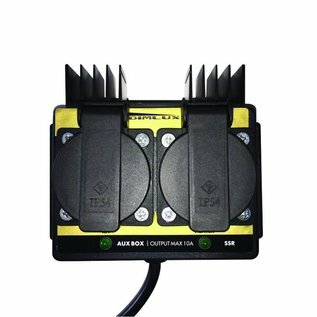 The new DimLux Maxi Controller EVO 1.1 has an Aux/Fan output, so that an external Aux box or Fan/Aux box can be connected. The Aux box as well as the Fan/Aux box are available at our webshop. 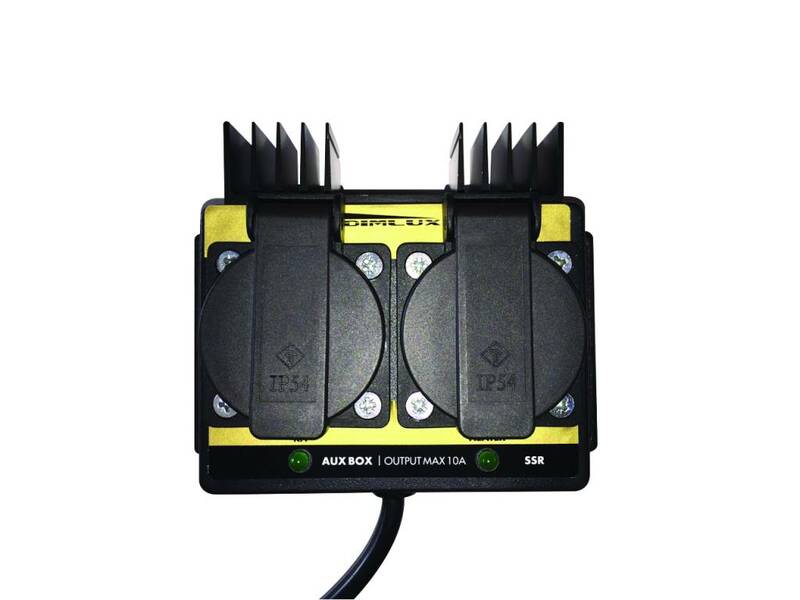 The Aux box has 2 outputs (2 x 230V, 10A) in order to connect a heater, a humidifier or dehumidifier to the DimLux Maxi Controller. After setting the desired values the DimLux Maxi Controller can control these external devices.